So, I just realized it’s been a while since I talked about food here. And that’s a shame because I REALLY do enjoy preparing, cooking, and trying new meals. You’ve heard of fried green tomatoes, but have you ever seen fried hairy spiders? 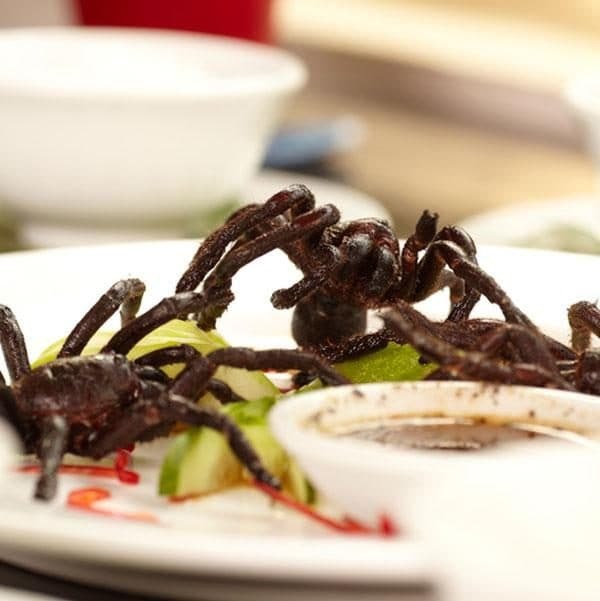 We Americans may balk at the idea of eating anything that resembles a bug (though many of us are totally cool with crabs and lobsters for some reason), but in Cambodia, fried tarantulas or A-Ping are the dish that saved the people. During the reign of Pol Pot, many people were forced into hard labor and starved to death. These hairy buggers then quickly became a primary food source as they were plentiful, easy to harvest (just jam a stick into their nest and pull them out when they bite onto it), and super healthy; having more protein than a 6oz steak. Frying them with sugar, salt and garlic also give them the flavor of marinated fried chicken. What’s more, they’re cheap. At only a few cents a spider, A-Ping is a major part of the Cambodian economy that almost anyone can grab at a street vendor and families often make a good business selling it. Don’t be fooled, friend; that ain’t fried chicken. The wise reader will note that The Rocky Mountains are nowhere near the ocean and, therefore, cannot produce oysters. So, what are Rocky Mountain Oysters if not oysters? Well, their alternative name – Montana Tendergroin – may give it away. That’s right; they’re fried bull testicles. 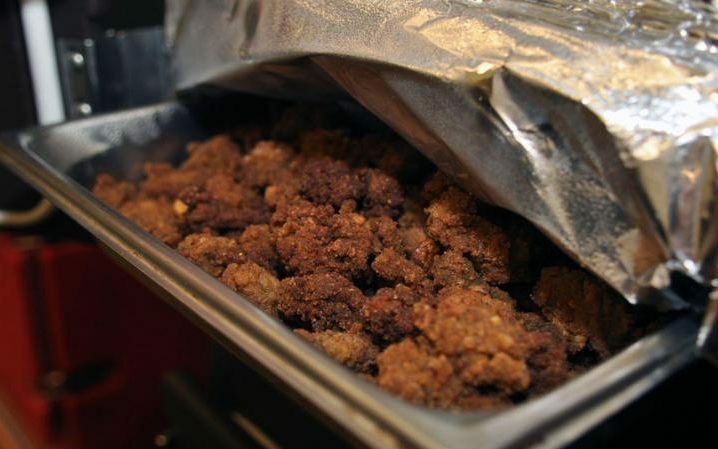 Like most non-traditional cuts of meat, Rocky Mountain Oysters came out of necessity. After castrating a bull to prevent unauthorized breeding that can lead to injured cattle, what are you supposed to do with his berries? Throwing them away would be wasteful, so why not eat them? If you’ve ever had a chicken fried steak, these are very similar. Really, they’re no different from any other cut of beef. Once you get over where the meat came from, you may find you enjoy having balls in your mouth (enjoy that one, folks – I don’t get a chance to make raunchy jokes like this often). And now, a selection of liquor to complement our strange meal. And to close out our buffet of the bizarre, let’s booze it up with some tree bark brew (that alliteration was more work than you think, by the way). Mamajuana is a traditional tincture (that’s fancy-talk for herb-infused alcohol) from the Dominican Republic that contains rum, red wine, honey and a variety of herbs. What’s great is that you can steep this fine drink yourself and can buy the herbs pre-assembled so that they meet all FDA regulations. After that, it’s just a matter of choosing your favorite rum, red wine, and honey in your preferred amounts and let steep for a few days. Best of all, it’s common practice to reuse the herbs for months or even years. So you don’t need to keep buying a new starter kit when you’ve killed the batch. Hooray for exotic eating on a budget! In addition to being touted as a powerful aphrodisiac, Mamajuana is also often used for fever, body aches, and fatigue. In fact, former Boston Red Sox pitcher and Dominican native Pedro Martinez attributes his teams 2004 World Series Championship victory to taking team building shots of the stuff. So, who knows? Maybe this little brew is just what you need to step up your game.